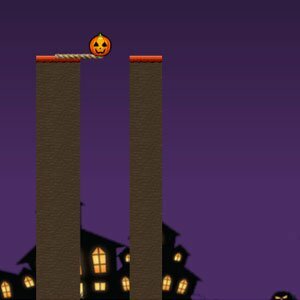 Pumpkin Halloween Adventure is a new arcade Game. Your Aim is help the Pou to cross to the other side of the bridge. game in which you must try to get from one platform to another by Path bridges between them! Do you think that you can make it into high scores? press and hold the left mouse button anywhere on screen to start building the bridge and release it to stop building the bridge! Try to get as far as possible and watch out for increasing difficulty!